Is Your Website Conversion Optimized? We all want a conversion optimized website. Solidifying your sales pathway allows clients to not only buy from you, but to become repeat customers. A good experience starts should start the first time a customer visits your website and continue throughout the life of your relationship with the customer. Many small business owners don’t truly realize how much they’re getting in their own way when it comes to a giving customers a conversion optimized experience. Scrimping money by designing a site yourself or using a designer who isn’t familiar with the conversion optimization process is a common problem. For some business owners, an outdated website creates navigation and sales problems. Let’s talk about how to make your website conversion optimized for better sales and overall client engagement. Your customer should be able to know exactly what you want them to do within 10 seconds of visiting your website. Identify the first step in your funnel and don’t mince words. If you’d like your potential customer to fill out a lead form, make sure that form is front and center on your website. If you’re selling products, make sure the path to those products is clear. In the case of a web cart, customers should be able to easily sign in, view the items in their cart and check out. A 10-step checkout process that over collects your customers’ personal information does nothing to keep the trust you’ve already built with your customer. Take a look at your sales process – can you simplify it in any way to make buying time shorter and more convenient? Focusing on making everything simple is part of having a conversion optimized website. Navigation exists to help your clients figure out where to go on your site if they want more information. If you’re not getting an idea of how clients are using navigation to get what they need – and at what points they’re exiting your site – you could be missing valuable data that would lead to results-generating modifications on your pages. If you don’t have tracking on your site, now is a good time to think about looking closely at what your users are doing on your site. Having a conversion optimized site isn’t going to do too much for you if you have no way of interpreting the data that’s coming in. 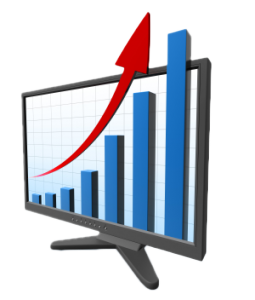 Are you getting more sales after a conversion optimization? If so, why is this happening – or if it’s not happening, what can be changed to ensure there’s a difference in the future? If you’re looking for an information dashboard that’s easy to use and tracks data at a granular level, Lead Liaison is for you. Talk to use about tracking for your conversion optimized website today – or let us help you find out how to start your optimization. https://www.leadliaison.com/wp-content/uploads/2013/04/Lead-Liaison-Logo5.png 0 0 Lead Liaison https://www.leadliaison.com/wp-content/uploads/2013/04/Lead-Liaison-Logo5.png Lead Liaison2013-11-25 06:00:432014-09-12 17:09:19Is Your Website Conversion Optimized?